A luxurious night cream with 5 natural precious oils and shea butter. 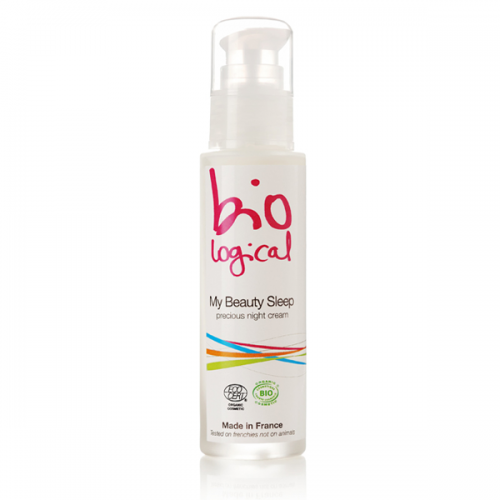 Even Sleeping Beauty would envy your skin in the morning! Shea butter is renowned for its ability to nourish and rejuvenate the skin. The witch hazel floral water promotes microcirculation to reduce redness and even out skin tone. This synergistic effect of 5 potent, precious oils (argan, macadamia, pricky pear seed, borage and linseed oil) effectively, yet gently restarts the natural mechanisms present in skin to fight signs of aging and repair sensitive skins. Water (aqua), triticulum vulgare (wheat) straw water*, hamamelis virginia (witch hazel) leaf water*, macadamia ternifolia (macadamia) seed oil*, coco caprylate caprate, borago officinalis (borage) seed oil*, butyrospermum parkii (shea) butter*, cetearyl alcohol, behenyl alcohol, glycerin, argania spinosa (argan) kernel oil*, opuntia ficus indica (prickly pear) seed oil*, linum usitatissinum (linseed) seed oil*, glyceryl stearate citrate, cetearyl glucoside, glyceryl caprylate, tapioca starch*, fragrance, tocopherol, benzyl alcohol, potassium sorbate, sodium benzoate, dehydroacetic acid, citric acid, citronellol**, linalool** 99% of the total ingredients are from natural origin 39% of the total ingredients are from organic farming * Ingredient from organic farming. ** Component of natural essential oils. A shield against stress and pollution with water lily and bamboo. Start the day the perfect way. Get up and glow! Bamboo extract detoxifies and protects the skin from daily aggressions like pollution and stress. Water-lily extract moisturizes, softens and tightens pores to improve skin’s appearance. A day & night skin smoother with rose and raspberry. 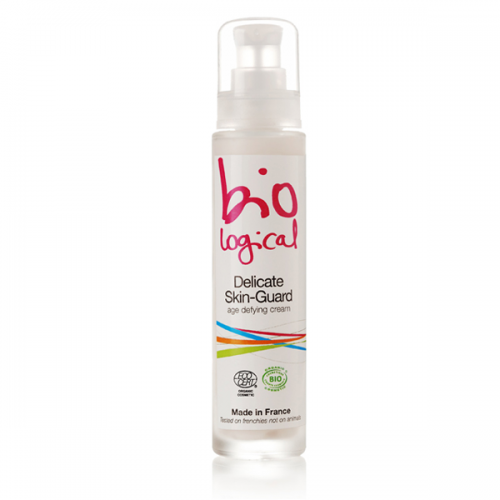 Your skin has a new bodyguard! Code name: Gorgeous! Antioxidant vitamin C contained in Raspberry helps prevent against premature skin aging. The plankton extract, rich in EPA and DHA essential fatty acids, protects, hydrates and help maintain a youthful appearance. Water (aqua), rose flower water* (rosa damacesna distillate*), argan kernel oil* (argania spinosa kernel oil*), caprylic capric triglycerides, cetearyl alcohol, glycerin, behenyl alcohol, coco caprylate caprate, orange flower water* (citrus aurantium amara flower distillate*), shea butter* (butyrospermum parkii*),raspberry fruit extract* ( rubus idaeus extract*), cetearyl glucoside, plankton extract, rosemary leaf oil (rosmarinus officinalis leaf oil), microcrystalline cellulose, tocopherol, cellulose gum, sodium benzoate, benzyl alcohol, parfum, citric acid, citronnellol**, limonene**, eugenol**, linalool** 99.1% of the total ingredients are from natural origin 17.5% of the total ingredients are from organic farming * Ingredient from organic farming. ** Component of natural essential oils. A perfectly balanced blend of purifying and soothing natural ingredients featuring regenerating oils and rose. 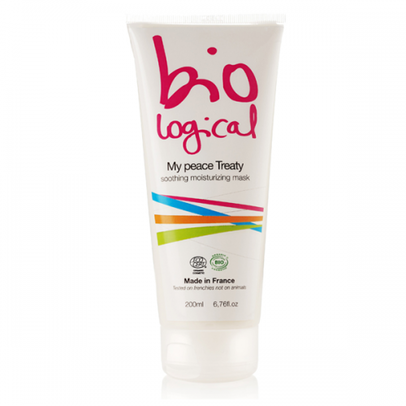 Finally, a way to make peace with your skin! Argan oil is famed for its revitalizing and anti-wrinkle properties. Borage oil soothe skin, help restructure skin tone and restore tissue elasticity. Aqua, rosa damascena distillate*, cetearyl alcohol and cetearyl glucoside, glycerin, butyrospermum parkii*, argania spinosa oil*, behenyl alcohol, hammamelis virginia distillate*,rosa mosqueta seed oil*, borago officinalis oil* , parfum, microcristalline cellulose and cellulose gum, tocopherol, sodium benzoate, potassium sorbate, benzyl alcool 98.8% of the total ingredients are from natural origin 25% of the total ingredients are from organic farming * Ingredient from organic farming. ** Component of natural essential oils.